Seven guides you through a scientific seven-minute workout. Working out for seven minutes doesn’t sound so hard. Especially when you know the workout you’re going to be doing is scientifically-proven to be effective, it’s worth spending some time getting fit. 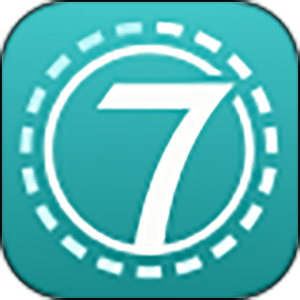 Seven is an app that guides people through the seven minute workout. The seven minute workout has become increasingly popular in recent years, as it offers a way for people to exercise in their own homes during their spare time. The workout is based on scientific studies and intended to provide the maximum benefit in the time allotted. It contains exercises like jumping jacks and wall sits — and other workouts that do not require any equipment. 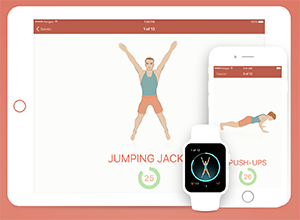 There are many apps on the market that guide users through seven minute workouts, but Seven is one of the most well-designed and easy to use. It also has a gamified portion of the app that could help lazier users get motivated to keep working. Because the seven minute workout is intended to be done every day, Seven keeps track of your progress. If you miss three workouts in a month, you lose the “game,” and have to start over from the beginning. There are other rewards and motivating factors to keep you moving along the way. For anyone looking to get fit without going to the gym, Seven is a good place to start.